A Natural Hair Event: Braid. Protect. Love Your Hair. Black businesses in Gwinnett County are growing. It is exciting to witness the diversity in the community. As we celebrate Black Women’s History and African-American Women’s Fitness this month, there are two thriving black- and woman-owned businesses in the community we would like to spotlight– Kinks and Curls Natural Hair Boutique and Imarii 79 Braid Cafe, both in Lawrenceville, Georgia. 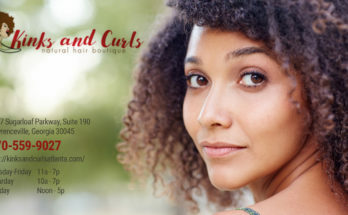 Kinks and Curls is owned by Crystal Sheppard and is dedicated to becoming your natural hair care resource, we want to educate, demonstrate and empower you to love your Kinks and Curls! 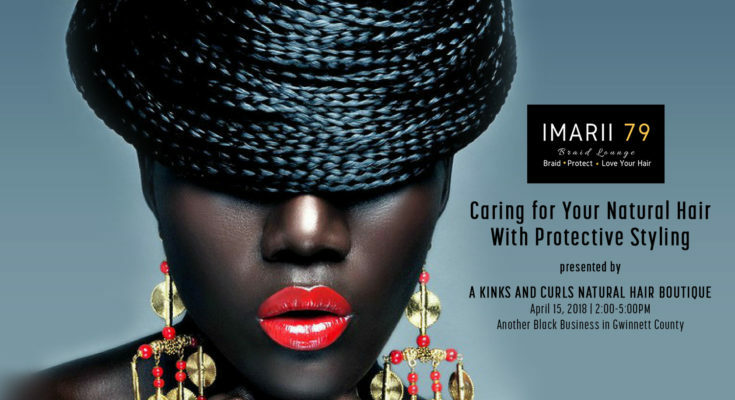 To prepare for the summer, Kinks and Curls has partnered with Imarii79 Lounge to present an informative class on protective styling. 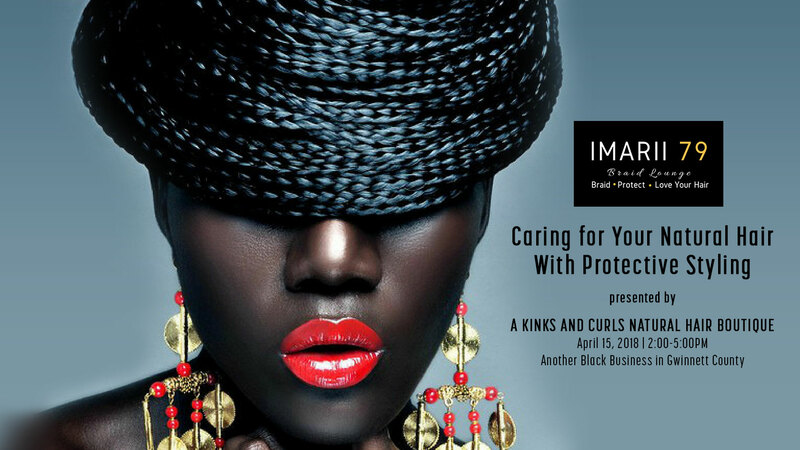 Nigireia, the CEO of Imarii79 Braid Lounge, will present an informative class on protective styling. Nigireia will discuss the basics of proper haircare before, during and after takedown. Attendees will be entered into a drawing to win a free gift set of the Girl and Hair Under Hair Care Collection. As a plus, everyone will also receive a free trip to the K&C Custom Oil Blend Bar and product samples! Nigireia, also known as Ni, is a braider and protective stylist who hails from Portsmouth, Virginia. She is a serial entrepreneur and educator who enjoys connecting with positive and progressive individuals. Her greatest passion is to empower others to live their best lives. As owner of Imarii 79 Braid Lounge in Lawrenceville, she seeks to promote the health, protection and growth of natural hair through protective stylying. She learned to braid hair at the tender age of 6, started working with extensions and other styles at 12, and became very popularly known as a braider during her freshman year of college. After years of maintaining a small, exclusive client base, she decided to expand and share her talents by opening Imarii 79 Braid Lounge, where clients receive braids and protective styling so that they can love their hair. Imarii 79 is located at 1884 Lawrenceville-Suwanee Road, Suite 4, Lawrenceville, Georgia 30043. Contact Nigireia at 757.776.2992. For more information, call 770.559.9027.